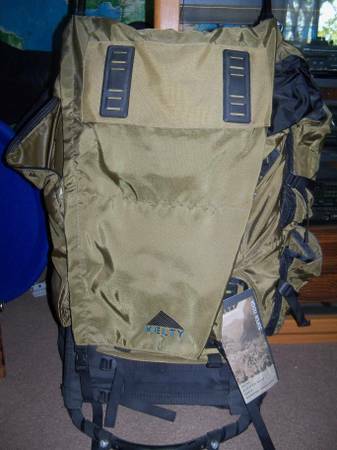 Kelty Super Tioga external frame backpack in excellent condition, very rugged, used on a few hikes and in excellent shape. Big 5500 cubic inch 90 liter pack capacity. Sleeping bag and pad not included. Will trade for a 65 liter backpack. Kelty Slickrock 5500. 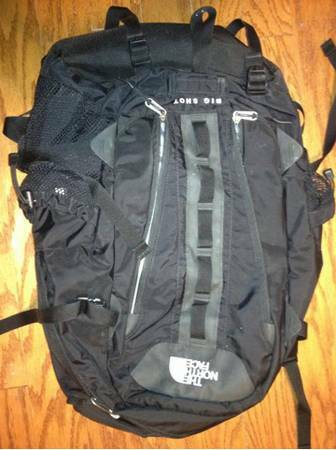 Great backpack in excellent condition. Everything is present and working. No tears or wear spots. Hydration compatible. Adjustable frame fits torso from 16 to 22.. Large 5500 90 Liter capacity. $65.